Here are 5 gold farming techniques that can be enhanced with the use of exploits. These are techniques that don't get fixed from patch to patch for various reasons, illustrated with 5 different farms, but while subtle they are powerful enough to significantly increase gold making profits. 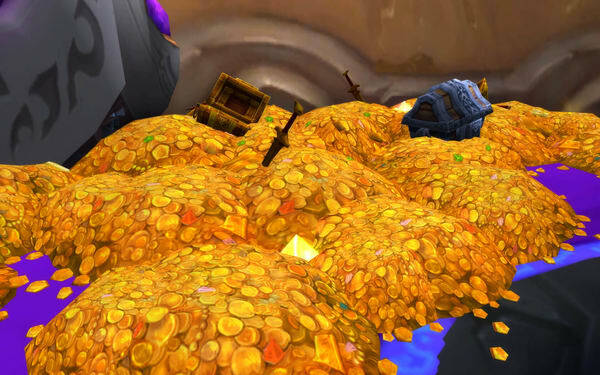 Timestamps: 1:19 Isle Of Giants, use multiple class trials to farm dinosaur bones efficiently, stack them by the questgiver Ku'ma, and make as much as 5000 gold's worth of spirits of harmony (sells like a vendor item on the AH) in a few minutes every couple of days. 4:33 Deadmines Defias gear (Hunter Required). Reset the Defias Overseer mobs in the Deadmines twice every 30 seconds using a glitch with the "play dead" ability. The Blackened Defias gear sells for around 17000 gold currently. Probably will take a few postings to sell. 8:08 Untamed Clefthoofs, Nagrand, Draneor (Affliction Warlock Preferred). Using Findle's Loot-A-Rang combined with the artifact trait "Soul Flame" you can aoe everything within a 40-yard radius. Best sumptuous fur farming method by far. This is the best way to grind the fur required for Hexweave bags which sell for over 2000 gold currently on average. 10:03 Cobra Scale farming, Shadowmoon Valley (requires skinning and monk/warlock, class trial characters can be used if you don't have one). Cobra scales sell for over 1800 gold right now, because they make hats. Using ports it is possible to traverse the most popular cobra scale farming route significantly faster than via running through the mini-instamce. 11:26 Fel Sparks in the Throne Of Kil'Jaden. Using two or more characters to farm multiple motes of fire using a sort of poor man's multi-boxing which makes primal fires and sell for over 500 gold currently.